A healthy diet comprising or organic foods can go a long way in ensuring your good health. But the truth is that, most of us might not like to eat vegetables in their raw form. Also, making them can be tedious, and something that we cannot spare time on, in the busy lives that most modern day professionals have. A good option to consider would be Organic juices. 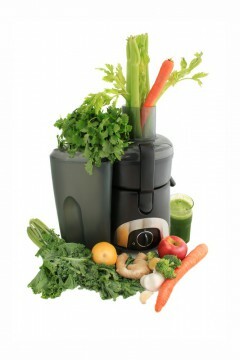 You can blend a variety of vegetables and fruits to make your juice look and taste delicious, and above all, healthy. Here are a few recipes that can come in handy, and also a few tips on how you can create your own recipes. Try as much as possible to find organic fruits and vegetables. They might be available at specialist stores or may be in a different section in the supermarket. Also, organic vegetables are a little more expensive, but they are worth every cent. Do not add any artificial flavoring agents to the juice. It is imperative that you keep the juice as organic as possible. Ingredients: Two small, or one large beet, cut into halves or fourths, 5 to 6 carrots, 1 large or 2 small organic apples, small piece of fresh ginger, and half a lemon (optional). Preparation method: This is a very easy to prepare organic juice. Put all the ingredients into a juicer, one at a time, and blend until all the ingredients are incorporated nicely. You can add lemon while juicing or after pouring the juice into a glass, to deepen the flavor according to your preference. You can drink this juice every day before going to bed. It helps in cleansing the system. Ingredients: 2 small or 1 large Granny Smith apples, 2 celery stalks, 1 bunch spinach, half lemon, 1 cucumber, one fourth of a pineapple, and small piece of ginger. Preparation method: Add the larger and chunkier ingredients into the juicer one by one. Then add the ginger. Then squeeze the juice of the half lemon, and add it while the juicer is running. Your green goodness is ready to be enjoyed. NOTE: You can also add a small piece of onion, or a couple of stalks of spring onion to this juice. Some people might not like this taste. So, add this depending on your preference and taste. Ingredients: Cabbage, cucumber, and carrots, the quantities are dependent on the number of glasses of juice you want. Preparation method: Cut the vegetables into medium sized portions that can fit into your juicer. You can add a little bit of olive oil to emulsify the juice, and season it with salt and pepper according to your taste. Drink this juice every morning, on an empty stomach for it to be most effective. The benefit of organic juices is that you do not have to stick to the set recipes. If you like a certain vegetable, you can combine it with a few other vegetables and fruits, based on the flavor you want your juice to acquire. After a couple of trials, you will get an idea of what the flavor the juice will take, based on the vegetables you add. Organic juices will not have the taste of your smoothies with artificial flavoring and sugar. But they are healthy and you will acquire a taste for them over a period of time. So, make sure that you do not give up, and try it for a significant duration of time, and then make a judgment on whether it is worth the effort. What is your favorite juice combination? Great article posting Lawrence!!! Yeah, organic IS the way 2 go!!! THO, IT IS quite expensive 2 go ALL organic in regard 2 “juicing”!! One of these days, I’ll get a “juicer”!! :() God Bless! Juicing is expensive and time consuming…but worth it. It is hard to go all organic all the time, but I do my best. I made a New Year’s Resolution to juice for breakfast every morning this year, and I have been reaping the benefits from it. If you are in the market for a juicer, I use Breville BJE510XL Juicer, Ikon Juice Extractor (I am not affiliated at all). This juicer is the best as I have tried others out. Thanks for your support again! Have a great day. Thank you for information! The problem that I need to have a field of fruits and vegetables coming with my juicer. From so many fruits and vegetables I get only one small glass of juice. The problem is too much waste. I understand that each fruit and vegetable need to be very juicy in order to get more juice. At the markets I see people selling natural juices but their vegetables (for example carrots) are in water. So these vegetables have mo juice in it. What do you think? Is it worth it? David, do you have a masticating juicer? Masticating juicers extract way more juice than centrifugal juicers. Try that out! I have wanted to try masticating juicer…that will be my next purchase once my current juicer gives up the good fight. I understand that some may be concerned with wasting and not enough fiber in juicing. The way that I solve these problems is to use some of the pulp and put it back in the juice and blend it with other whole juicer fruits such as grapes and strawberries. Another way to reuse pulp is to bake muffins out of it. Sooo good. Either way, juicing is a commitment and a lot of work. It is all up to each person to decide whether or not it is worth it to them. For myself and my wife who suffers from a chronic condition, we have extremely benefited from our commitment to juice once daily. Good for you Andrew! I hope you find that the benefits far outweigh the effort! Hi Laurence, What juicer do you think works best for these recipes? They seems really great, especially the Green Goddess. Thank you for sharing these. My favorite is the Breville JE98XL Juice Fountain Plus 850-Watt Juice Extractor. You can find it on amazon. Hope this helps enjoy your juicing!